Naturally found in the skin, Hyaluronic Acid binds and attracts water to maintain softness and suppleness. This advanced serum gives a nourishing boost to ensure skin is adequately protected and hydrated, while providing soothing antioxidants to balance reddened, irritated and sensitive skin. Helps minimize free radical damage. Provides skin with an optimal level of antioxidants, nutrients and vitamins. Chamomile Extract soothes, calms and balances skin. This was recommended to me during a facial because I have sensitive skin and use Retin-A daily. 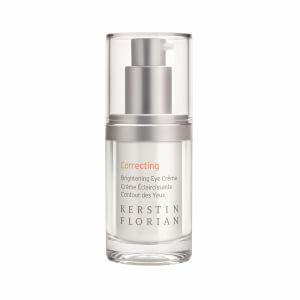 This has completely transformed by skin by eliminating redness, flaking, peeling and dryness. I put it on every morning under my moisturizer and my skin stays moist and supple all day. One of the few products I've found that's worth more than its high price! Love the way it feels on the skin!!!! Skin has never looked so good!